عندما تزور كرايستشرش, ستشعر أنك في بيتك في Central Park Motor Lodge الذي يقدم لك إقامة متميزة و خدمات عظيمة. يسهل الوصول إلى هذا الفندق ذو 4 نجوم من المطار، فهو يبعد عنه مسافة 8 km فقط. يوفر الفندق بفضل موقعة الجيد وصولاً سهلاً إلى أهم معالم المدينة.
. كما يقدم Central Park Motor Lodge الكثير من الخدمات لإغناء رحلتك في كرايستشرش. إن مرافق مخصصة لذوي الاحتياجات الخاصة, واي فاي في المناطق العامة, صف السيارات, خدمة الغرف, التوصيل من وإلى المطار هي جزء فقط من الخدمات التي تميز Central Park Motor Lodge عن باقي الفنادق في المدينة. يمكن للنزلاء الاختيار من ضمن مجموعة من الغرف المصممة بعناية لتعكس جواً من الراحة، والتي يتجاوز عددها 14. يقدم الفندق العديد من الفرص للاستجمام كمثل حديقة. إن Central Park Motor Lodge هو خيار ذكي بالنسبة للمسافرين إلى كرايستشرش، بما يوفره من إقامة هادئة ومرحة. Shower was mouldy not clean. A pair of woman's dirty pink lacey underware under the Bed along with some ointment and a hairbrush. Not enough towels just 2 for 4 people (we did receive more when asked, no face cloths. Pull out sofa was not made up at first. Bracket holding microwave was filthy covered in grease. Pull out sofa was stopping any one that wanted to go outside from doing so. A real fire safety issue. 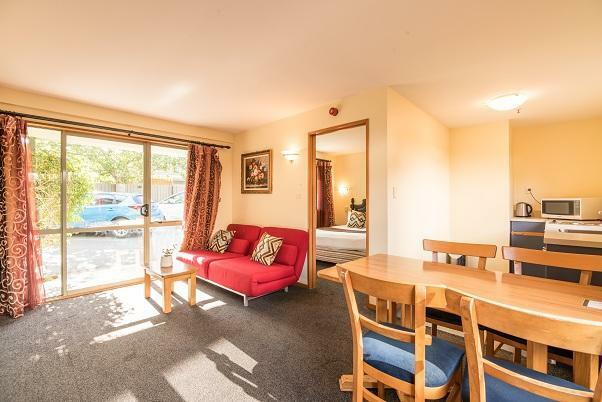 Only a short trip from the airport and a short walk across to Christchurch's CBD this Motel is a real little 'gem'. Not too big, not too small. Just right for a couple of weary travellers from 'across the ditch'. Looking a bit weary and hard worn. If you are amongst the last few vehicles to arrive you have to park on an angle between pillars supporting the upper story. Not easy if you have a big car .Had to ask for milk. Shower dripped all night. Customer service was non-existant. NO WIFI ...despite this being advertised ...NO PAPER... despite this being explained in the hotel info pack ... NO SMOKE ALARM!! is this legal??? TIRED, RUN-DOWN HOTEL .. 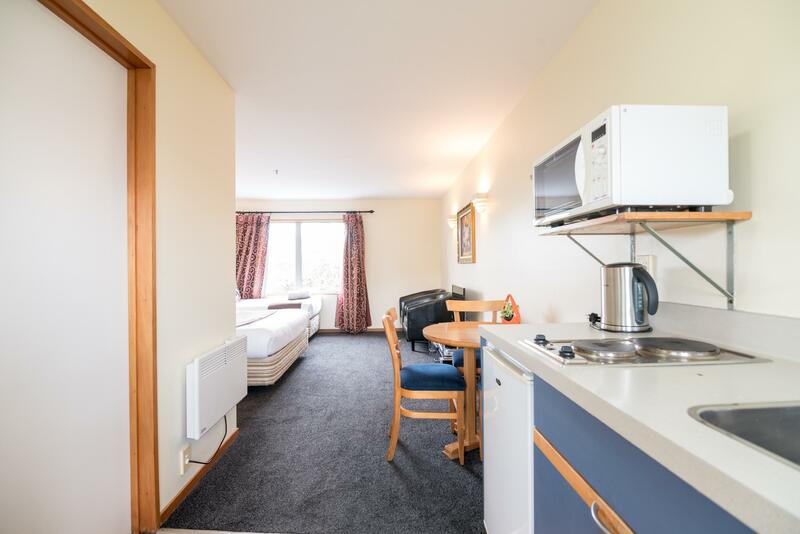 (E.G., SHOWER HEAD DRIPPED ALL NIGHT, HEATING WAS BARELY ADEQUATE FOR WINTER IN CHCH, ...)I would not recommend this accommodation to anyone ... high ratings and positive feedback should be ignored. Good sized rooms and the family suite was great with a sofa bed which wasn't even advertised! Fine. Single bed frame smelt of damp/mildew. TV could have been on a higher table to view from in bed. Everything was good until the staff knocked on our door at 9:30am asking when will we check out. Check out time is 10am so I said 10am. She then said customers are waiting for my room. The two beds that were in the room were very well presented and comfortable and the rooms were nice and tidy. 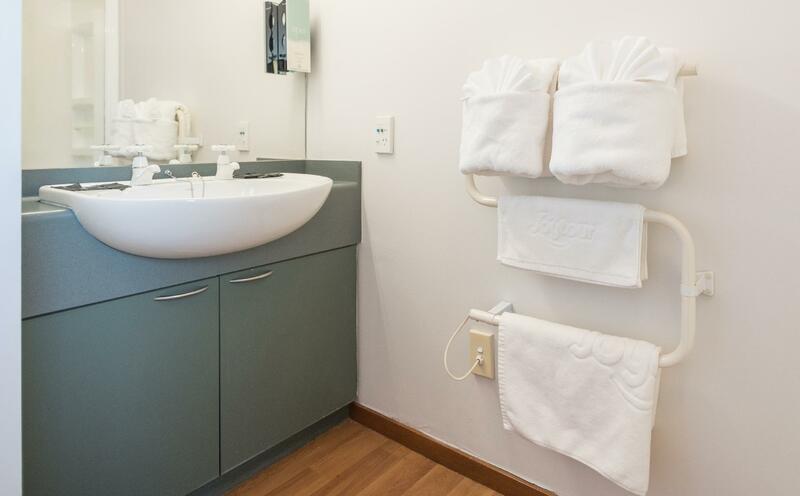 The kitchenette was of good standard and I enjoyed the shower. The only things that let our experience down were that; it would have been great if the lady at the reception looked interested and smiled! I think with limited English there was miscommunication about our room as I spoke to her on the phone about getting 3 beds and was told that would be fine, but on arrival was disappointed to see two beds and she couldn't move us until the next day so had to share a bed with a friend. When we did move, the sofa bed was very uncomfortable and we couldn't connect onto the internet even when we got the Wifi Code from the receptionist. I don't think I would recommend this motel to anyone else after our experience! Check in and out were both quick. The male receptionist was very helpful. Bedroom was nice with nice decor. Bathroom was showing signs of ageing, with peeling paper and some signs of wear and tear. Quite a lot of road noise so ask for a back room or take ear plugs. Clean. Cheap. Close to work. Centrally located. A wide variety of shops and dining near to the Central Park Motor Lodge. Entertainment near by. Cheap local travel. Easy to navigate city. 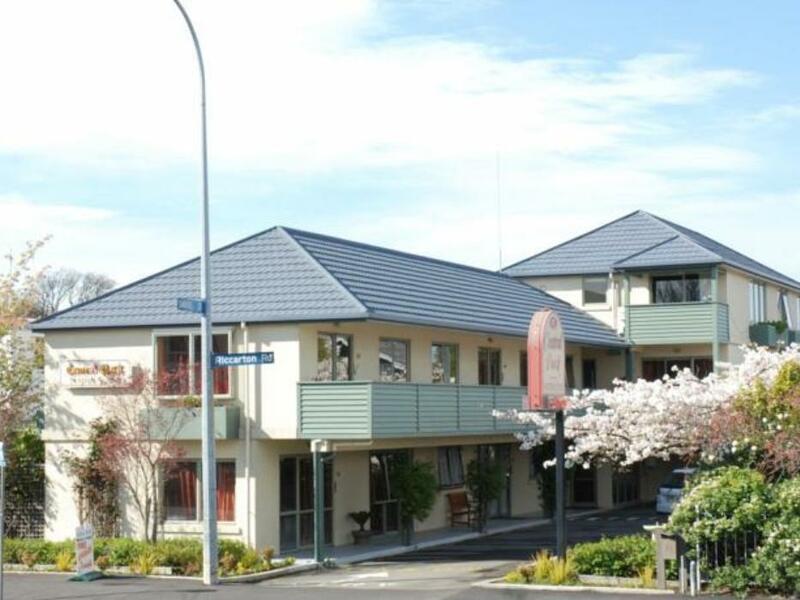 (+) Clean and comfy, Sky TV with lots of channels, large LCD TV, large room with cooking utilities, comfortable, good location walking distance to eating places, stores, and Riccarton Mall (-) Room is old, especially the bathroom. Not enough heating in the bathroom. no heated floor. 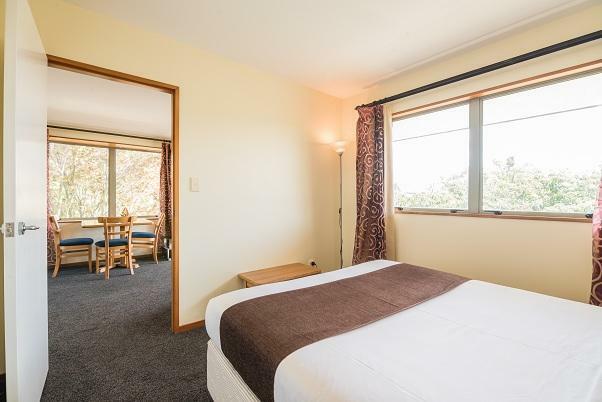 We stayed one night at the Centra Park Motor Lodge, so just passing through Christchurch. On main road, easy to find, near top end of Botanic Gardens. So nice to walk to gardens, then into the main town. Good pub on corner with excellent meals. We had booked the studio room for economy and were very kindly given an upgrade to a double room. more comfortable at no extra charge. much appreciated. Thank you.